BOWLING GREEN — A former Tippecanoe High School teacher and founder of the Tipp City Players has been recognized for his history of philanthropic fundraising. Kenneth Frisch has been named to the Association of Fundraising Professionals (AFP) 2018 class of Distinguished Fellows. He is the first Ohioan to receive this honor and one of only nine AFP Distinguished Fellows in the world. The award is a new recognition created by AFP, he said, which is an organization of professional philanthropic fundraisers. The association was created for the development of fundraising professionals and to promote high ethical standards in the fundraising. Frisch began his career as an educator, not a fundraiser, at Tippecanoe High School in the 1970s. When he learned that the school had no money for the arts, he began raising funds for the school and the community. He went onto found the Tipp City Players. Finding a new calling, Frisch later worked with the National Endowment for the Arts, the Ohio University School of Theater and the Southeastern Ohio Voluntary Education Cooperative. In his philanthropic career, he has lead million-dollar campaigns, oversaw the creation and expansion of development programs and managed hundreds of volunteers. Philanthropy is like education in many ways, he said, and his change in career seemed like a logical development. Frisch said he called on his training in education throughout his career, making presentations and educating people about fundraising. 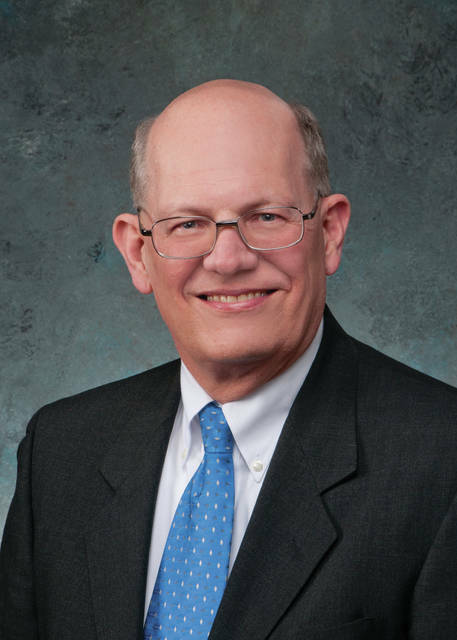 Since his retirement in 2016 as Vice President for Philanthropic Services and Advancement for the Toledo Community Foundation, he continues to serve his community mentoring young professionals and working with various organizations in northwest Ohio. He currently lives in Bowling Green, Ohio. This is his second international honor. In 2009, Frisch was recognized as the CCS Outstanding Fundraising Professional by AFP International. “Philanthropy in the United States — and around the world — is absolutely critical to communities,” Frisch said. Frisch was nominated for the honor by the Northwest Chapter of AFP. The chapter was established in 1987 and has over 114 members from 79 nonprofits and nine consulting firms in Northwest Ohio and Southeast Michigan.